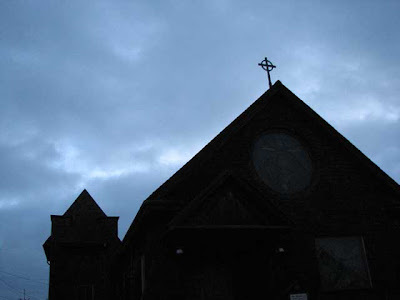 The Celtic Cross on the roof of Saint Michels Episcopal Church with a moody morning sky. We may have finished a run of perfect summer weather but we could use some rain. 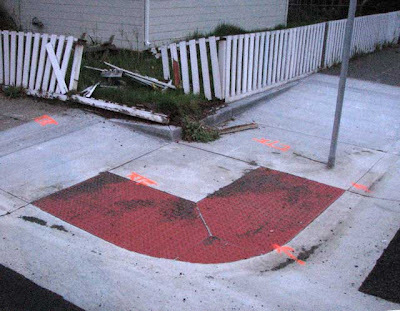 Someone missed the corner and took out another fence. There seems to be quite a bit of centrifical force around Fort Bragg as this happens quite often. I have no idea what this mushroom is. 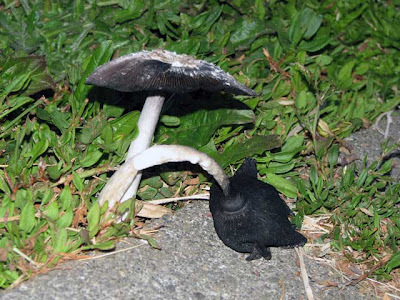 Sort of Inky Cap like but not. Help! 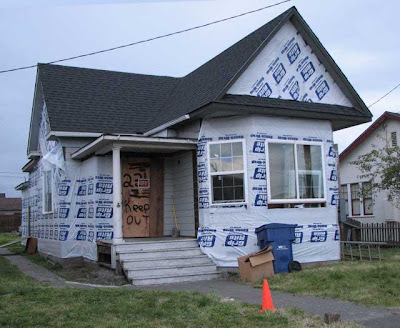 This house on Whipple is finally getting a make-over. 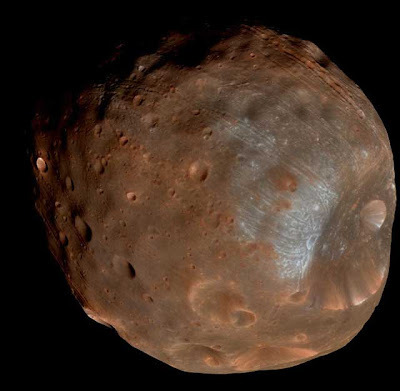 This is Phobos the larger of the two moons circling Mars. It was photographed by the Hubble Space Telescope. The reason I include it this morning is because I have my computer screensaver set to display daily photos from Astronomy Photo of the Day and some mornings, like today, I am greated with a photo that just stops me with wonder! Day Seven. A Walk on the Wild Side. Day Five. Half way there! Day Two and Whining and Sniveling Already! !